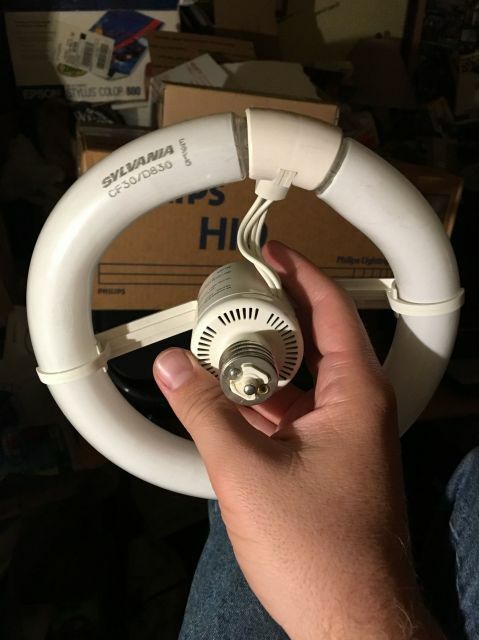 OEM lamp for this Sylvania 30w circline kit. Nice and bright. Whoa, that's a new one. Could this be kinda like the LOA 30w adapters? It is, just USA made. I have one like that somewhere. I've got an identical one like that installed in my standing lamp. It is not pre-heat. More insta-start. You turn switch and it goes on.